Children of divorced parents are especially sensitive to their situation during holidays such as Thanksgiving. Thanksgiving is a Holiday that is traditionally celebrated as a family unit, often with extended family, grandparents, aunts, uncles and cousins. It is a time when divorced parents should be extra sensitive to the anxieties of children living in two different households, with parent following what is known as a Parenting Plan and Time-Sharing schedule. Under Florida Law, the public policy of the State is that minor children have frequent and continuing contact with both parents unless a court finds that shared responsibility would be detrimental to the minor child. In other jurisdictions, shared responsibility is commonly referred to as joint custody. Florida Law begins with the presumption that shared responsibility is in the best interest of the child until or unless a court determines that one parent is detrimental to the wellbeing of the child. In Florida, shared responsibility goes hand in hand with parental time-sharing. Parental Time-Sharing is an agreement by the parents and approved by the court, which specifies to each parent the days and times that the child spend with each parent. In an amicable arrangement, the parents will jointly determine a schedule that the court will approve. Acrimonious separations and divorces that cannot be worked out between the two parents and their Family Law Attorneys in mediation, will end up before a family judge who will then make those decision for the parents. Eventually there will be a Parenting Plan and schedule of Parental Time Sharing, either through agreement between the parties, or decided by a family judge and court ordered. When the schedule is determined and approved alternating Holidays such as Thanksgiving are included in the approved Time-Sharing schedule. When it comes to Holidays like Thanksgiving, that are traditionally family oriented, the first few years of newly divorced couples may be filled with anxieties for both the parents and children. The Parent whose day it is under the Parental Time-Sharing Schedule has the right to plan the events of the day. The other spouse cannot interfere with the choice of where they are spending the Thanksgiving Holiday. 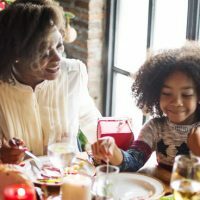 In amicable Time-Sharing schedules, Thanksgiving Day could be a split day if agreed upon by the parents at the time of the court approval, or modified with the help of an experienced in Family Law attorney. All Time-Sharing should be done in an amicable way when possible. If there are unforeseen circumstances that differ from the agreement, and the differences can be agreed upon, they should be put in writing to avoid future disputes and ambiguous he said, she said, situations. A Family Law attorney can help you word your parenting plan and time-sharing agreements to avoid future disputes. If you are traveling out of State with the children for Thanksgiving, it should be stated clearly in a written agreement. Although Florida Family Law does not specifically bar parents from travelling out of State during your time with the children, it does require that late returns and delays be avoided that might impact the other parent’s time. It is a best practice to present any travel plans in writing to the other parent specifying, itinerary, arrival and departure times and contact numbers. Any change in scheduled parent time that cannot be agreed upon between parents and cannot be negotiated between their perspective Family Law Attorneys must be brought before the court for modification. When a modification request is presented to the court, under Florida Family Law, the parent bringing the request must show that the changes requested were caused by substantial change that was unanticipated, and the requested changes are in the best interest of the child. You cannot delay the children because you want to spend Thanksgiving time with them when it is not your agreed upon or scheduled day. You cannot preclude or hinder the children because you dislike your ex-in-laws with whom they will be celebrating Thanksgiving with. If you are a resident of Florida area and need any assistance with your Parental Time-Sharing Agreement, contact our attorneys at the Arwani Law The family law attorneys at Arwani Law Firm have handled complex divorces with complicated parenting plans and timesharing schedules in Orlando and surrounding areas. We can help you navigate your divorce or modify your parenting plan with confidence. Contact us today to find out about next steps.